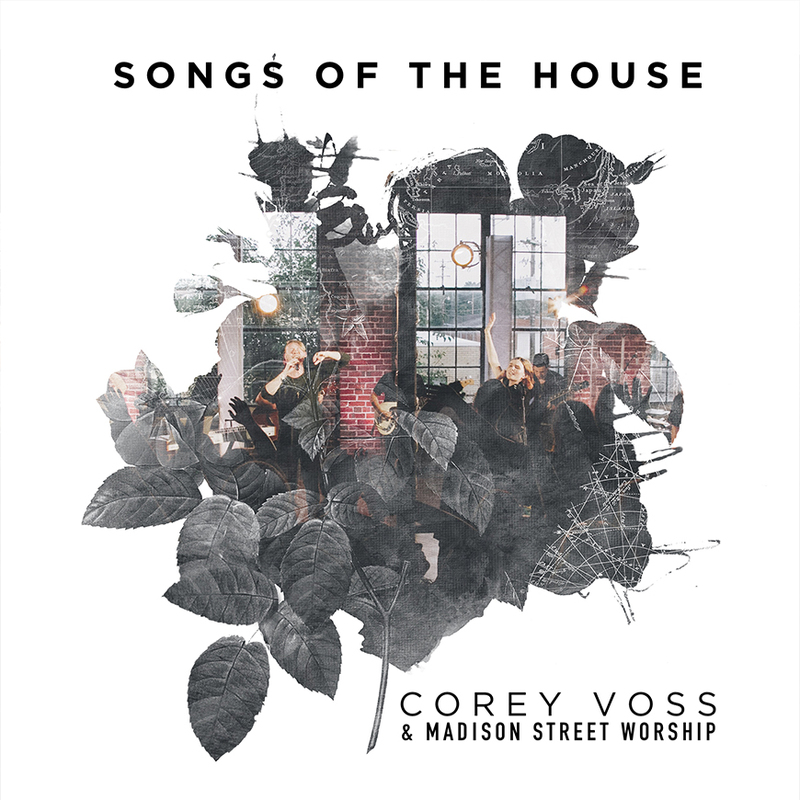 Worship pastor Corey Voss, the writer behind “I Got Saved” and “Praise The King” and voice behind the popular “God Who Moves The Mountains,” introduces his church creative team, Madison Street Worship, with the appropriately titled Songs Of The House available globally February 8. Songs Of The House delivers just that: new worship songs that reflect the revival happening at Gateway Shelbyville, a multi-generational, multi-cultural Tennessee congregation situated on the small town’s main thoroughfare of Madison Street. Combining themes of belonging, family, healing and freedom in Christ, Songs Of The House follows Songs Of Heaven & Earth, the debut full-length album from Corey whose combined streams total over 25 million. For the 10-track Songs Of The House, listeners will hear not only Corey and team, but the congregation singing along with raw energy and joy. Perhaps it is because these are their songs birthed from and for the local church. It is a natural outflow of the songwriting culture developed by Corey and Gateway’s pastor, Jason Daughdrill. In every track, listeners will hear a church reawakened and on fire. Only seven years ago, Gateway Shelbyville was struggling along with less than 60 people when Pastor Daughdrill stepped in. Shortly after, Corey joined the church and soon others began finding their way to what has become a booming community of over 1,000 members in rural, middle Tennessee. Songs Of The House is available through all major Christian music platforms with related worship resources available through WeAreWorship.com. Additional information is available at GatewayShelbyville.com, MadisonStreetWorship.com and CoreyVoss.com.